Apply online and get approved fast. Find the locations nearest to you for one-on-one service to find out what you qualify for. We have an inventory of new and previously owned merchandise and automobiles. Browse our categories for more information. Along with our locations, we have an online application process to get you approved without needing to leave the comfort of your home. Contact us for more information on the application process or with any general questions you may have. Over 25 years of lending experience. 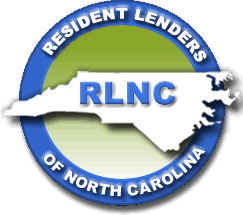 Southern Loans is a consumer finance company licensed by the North Carolina Banking Commission. Established in 1988, Southern Loans specializes in personal loans from $500 to $15,000 and automobile purchase loans up to $15,000. At Southern Loans, you will be treated with the respect you deserve. For prompt, professional service, just call one of our five locations today. Don’t let past credit problems worry you. Southern Loans works with each customer’s personal situation and circumstances. Our professional and courteous loan officers will find the best possible loan or debt consolidation solution to meet your needs. At Southern Loans, we look for a way to make you a loan. While many lenders rely on computer credit scores and out-of-state decision makers, Southern Loans believes in providing a personal experience with local decisions and local services. Financial companies choose how they share your personal information. Federal law gives consumers the right to limit some, but not all sharing. Federal law also requires us to tell you how we collect, share and protect your personal information. To secure your personal information from unauthorized access and use, we use security measures that comply with federal law. These measures include computersafegaurds and secured files and buildings. We follow state law as well as federal law and will use state law to provide you with additional privacy protections. Read our full Privacy Notice for more info.